In 1987 Margret Thatcher had wielded the axe of austerity for almost a decade by drastically cutting social expenditure and privatising public services. 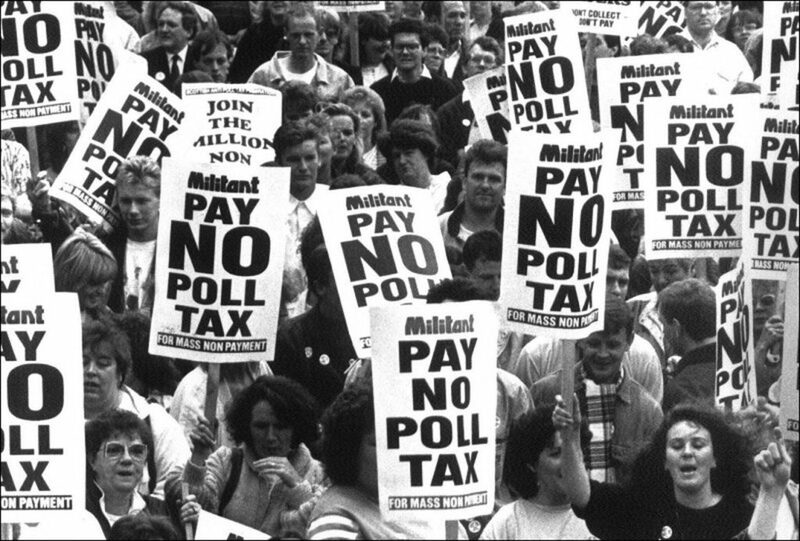 Militant, forerunner to the Socialist Party, recognised that the poll tax was a generalised attack on working class and poor that could act like a lightning rod for united struggle against Thatcher’s-pro rich polices and that mass non-payment could defeat this tax. 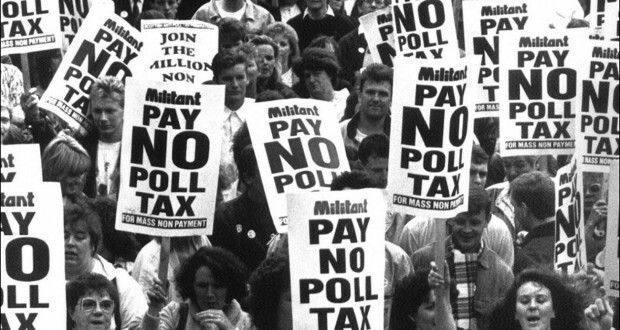 Different tactics were put forward during the anti-poll tax campaign. Some put forward token opposition through the slogan “Can pay, Won’t pay” where a privileged 1,000 who could afford to pay would refuse to do so on principle. Others, like those in the Labour Party leadership said they would be “responsible” and “wouldn’t break the law”. Like Sinn Fein today, their main focus was on building a parliamentary opposition to the tax and waiting for the next election. 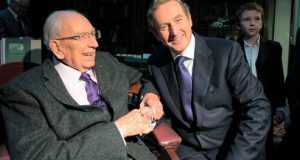 Militant recognised the centrality of an organised campaign of non-payment and building local Anti-Poll Tax Unions (APTU) in every community that were linked with the All-Britain Anti-Poll Tax Federation so that non-payment could be coordinated. The Fed, as it became known, also organised a mass demonstration in central London on March 31st 1990 with 200,000 participating in it. Despite the hard work of the campaign by the time of the first deadline there was still significant payment of the tax because of fear and confusion. However the campaign wasn’t discouraged and continued organising weekly stalls, public meetings, and door knocking. This armed people with the arguments and the confidence to join the growing army of people refusing to pay. The Thatcher government used different repression measures to break non-payment. Threating letters were sent and fines were issued to scare people. 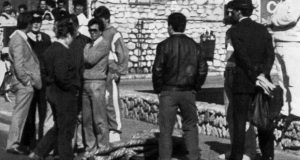 Bailiffs were sent to people’s home to rob non-payers’ personal possessions and many had to make court appearances resulting in some occasions in imprisonment, including 34 members of Militant. At each step the APTUs relied upon the mobilisation and self-organisation of working class people to make these measures unworkable. 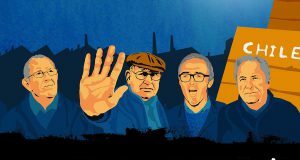 Communities were so well organised that despite many attempts by bailiffs not a single stolen possession was ever sold to recuperate the cost of the tax. Courts faced massive demonstrations outside and even occupations which brought the court system to a standstill. As time went by the campaign grew and grew. Each new repressive measure failed and the campaign steeled the determination of non-payers and gave confidence to people who had paid to join non-payment. The importance of the leadership provided by Militant allowed non-payment to become a reality. By the time the poll tax was abolished in 1991 Thatcher had been forced to resign and 18 million people were refusing to pay. It was an inspiring victory with many lessons for activists today.